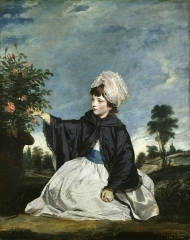 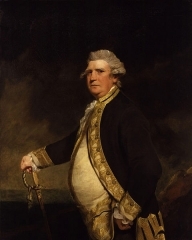 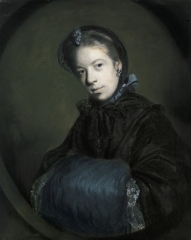 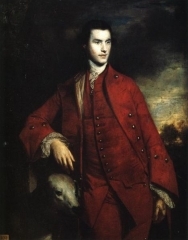 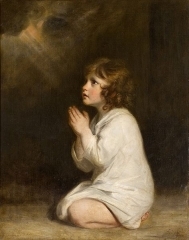 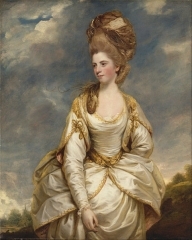 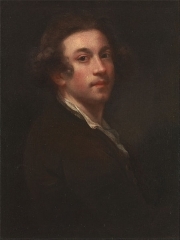 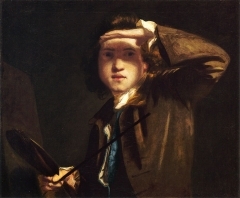 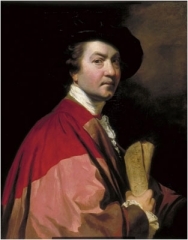 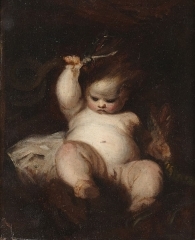 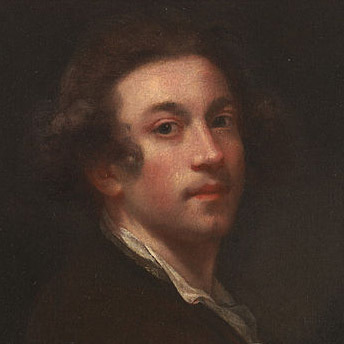 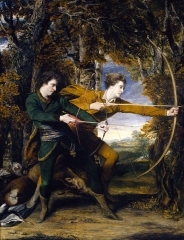 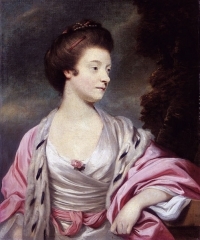 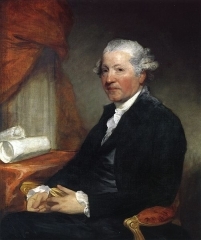 Sir Joshua Reynolds RA FRS FRSA (16 July 1723 - 23 February 1792) was an influential eighteenth-century English painter, specialising in portraits. 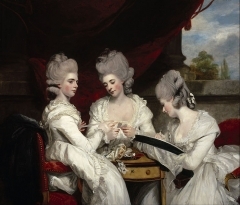 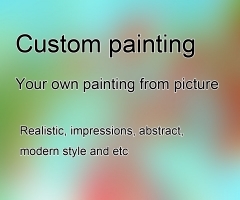 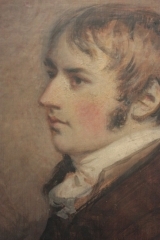 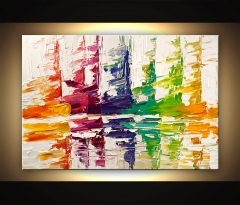 He promoted the "Grand Style" in painting which depended on idealization of the imperfect. 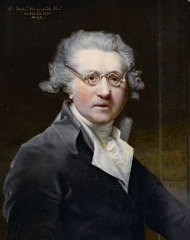 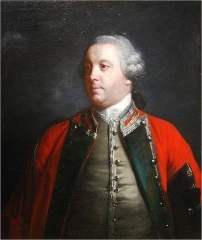 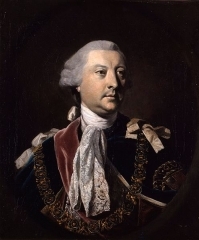 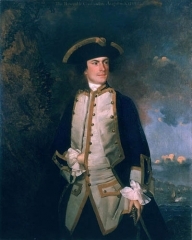 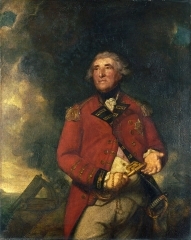 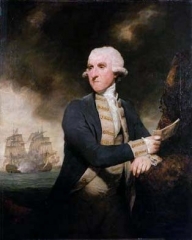 He was a founder and first president of the Royal Academy of Arts, and was knighted by George III in 1769. 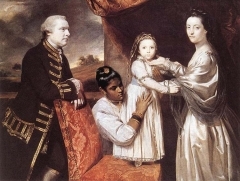 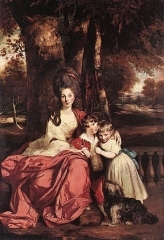 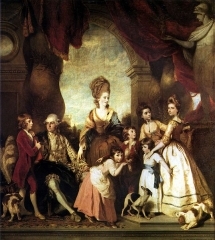 The Family of the Duke of Marlborough, 1778.